Utilize your connection with the Chamber and get your company associated with local events that impact your fellow community members. The North Perth Chamber of Commerce (NPCC) appreciates that successful businesses put a lot of time and effort into establishing their annual budgets. In an attempt to simplify one portion of this process, we have developed the Partnership Opportunities Portfolio. The Chamber is one of the most credible business resources, and aligning your business with a Chamber event demonstrates that your company is a local business leader and community partner. Your brand is seen by executives, managers and other influential decision makers who regularly attend Chamber events and programs. Sponsorship with the Chamber is not limited to a single event. In addition to events and programs, we have an e-newsletter and website advertising options available. The Chamber will work to tailor a sponsorship package for your company that ensures the best opportunity to reach your target market. Public recognition has to be earned. 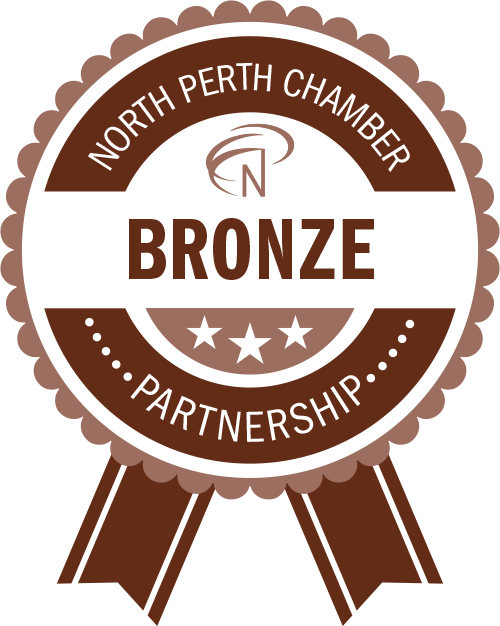 The Chamber has spent over 130 years developing a reputation for local business advocacy; they strive to improve the social, civic and business environment in North Perth. Chamber events and programs are highly publicized, and so are their sponsors. Convey to your employees, customers and neighbours that your organization cares about and is involved in the community, demonstrate your core values and set the standard of being strong business leaders and active community partners. As a corporate sponsor, opportunities are created for you to meet influential business people, prospective service providers and prominent members of the community to establish new contacts. These events are ideal for strengthening current networks or rekindling old ones. Is your business looking for a way to be recognized throughout the community? Become a Chamber Partner Now! Utilize your connection with the Chamber and get your company name and logo associated with some fabulous local events that impact your fellow community members. Below is a table that easily compares the partnership options that are available for your business. If you have any question or concerns, please contact us. Acknowledgements at all NPCC events consistent with level of sponsorship. *Your partnership commitment allows the chamber to plan and enhance the success of an event. At any time you can upgrade your event sponsorship according to preference.